Edna, a young elephant is deeply troubled. She tries to hide her bad memories but becomes trapped by them instead. One day Ms. Maxwell arrives and patiently offers to help. Together they work hard to untangle Edna’s thoughts and feelings. This book depicts Edna’s journey from shame and helplessness to hope, trust, and, ultimately, joy. What Susan Paradis has done here is truly remarkable; she has taken her immense gifts as a visual artist and a story teller and laid them at the feet of the most vulnerable among us, our children who may be suffering quietly and alone . . . may very well need just what Edna delivers here: wisdom, love, and hope. This is an essential book by an important artist, a true gift to us all. In this beautifully written and illustrated book, Susan Paradis, provides a gentle vehicle for opening the door to conversations with children about their feelings. 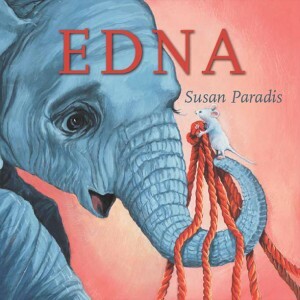 Edna is a series of beautiful illustrations and gentle words ideally suited to help children along in their process of disclosure and recovery. This book may also provide comfort to adults struggling to talk about painful childhood events, and will even delight and inform young readers not troubled in this way. —Martin H. Teicher, M.D., Ph.D. I love Edna. Who in the world wouldn’t? A worried little elephant weighted down with more than she should have to bear, but embraced by a story and pictures brimming with heart and hope and love. 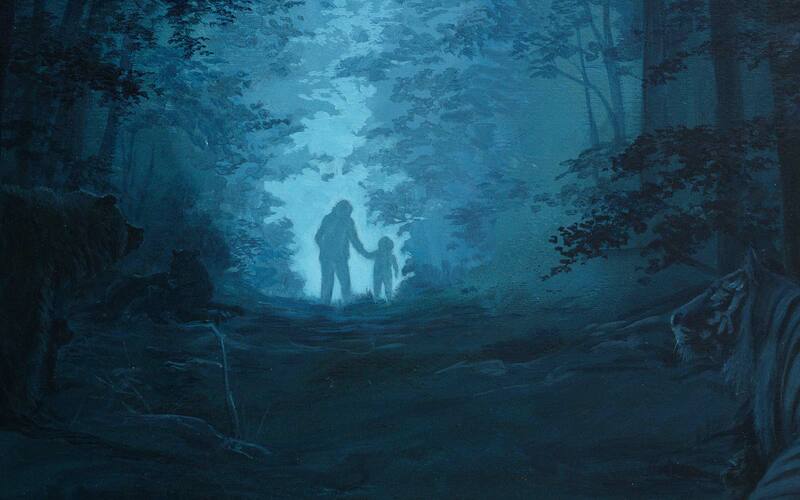 Edna is an extraordinary book for anyone working with children affected by trauma. It gently illustrates a creative way to gain mastery over their worries and to get untangled from the isolating cycle of shame and despair. In reflecting on over 20 years of working with children, teens, and adults, I can imagine so many who would appreciate Edna’s story and benefit from this book.